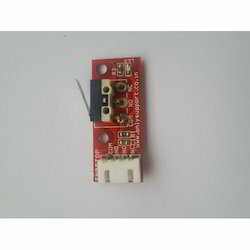 Our product range includes a wide range of end stopper and joystick module ps2 ky-023. Heat shrinkable end caps are typically used to seal cable ends and provide mechanical and environmental protection. When heated in excess of 121ºC (250ºF), SKE Heat Shrink Heavy Duty End Caps rapidly shrinks, forcing the melted adhesive lining to flow and cover the substrate. The adhesive forms a flexible bond with a wide variety of rubbers, plastics and metals. Upon cooling, the adhesive solidifies, forming a permanent, non-drying, flexible and water resistant barrier. Adhesive reflow will occur at temperatures above 80ºC (176ºF). electronic equipment, low noise and highs reliability. 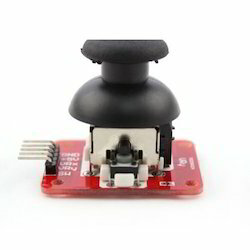 The HFX joystick is truly the next generation of small magnetic joysticks and is meant as a replacement for older inductive coil joysticks, which have remained basically unchanged since their introduction in the late 1970s. The primary problem with the inductive coil joystick is that it is inherently susceptible to both radio frequency interference (RFI) and electromagnetic interference (EMI). By using industry-proven Hall Effect sensors and high-grade solid magnets, the HFX line of products is practically impervious to RFI and EMI distortions. The HFX joystick is also form-fit-function compatible with most major brands of inductive coil joysticks. This means that it will easily fit into the same panel cut-outs using the same mounting holes. Looking for Sdcard LAN Joystick RTC ?